Aaron Modica is a graduate of the master’s program in Educational Leadership at the University of Washington, Seattle. He has a BA and MA in Sociology from the University of Nevada, Reno. 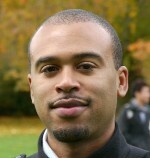 He is currently full-time faculty in the sociology department at Highline College.